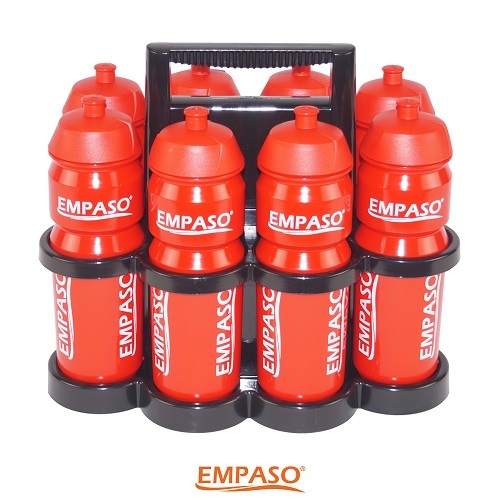 EMPASO ® TeamCrate | Football 12 sports bottles carrier set. New! 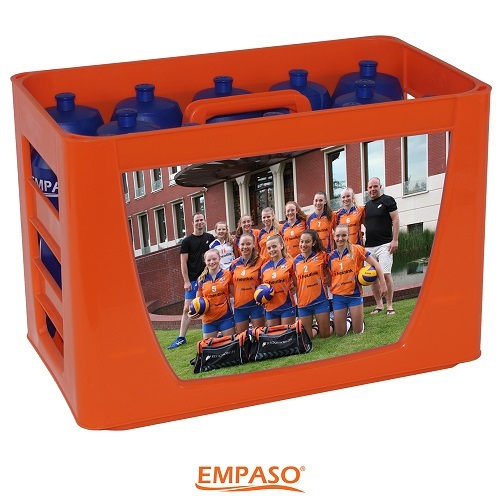 EMPASO TeamCrate is the new personalized sports bottles carrier set with 12, 14 or 16 water bottles 750cc and your team photo, club logo or sponsor at both sides. Also two different images & additional bottles are possible and our designer will serve you personally and create your TeamCrate! 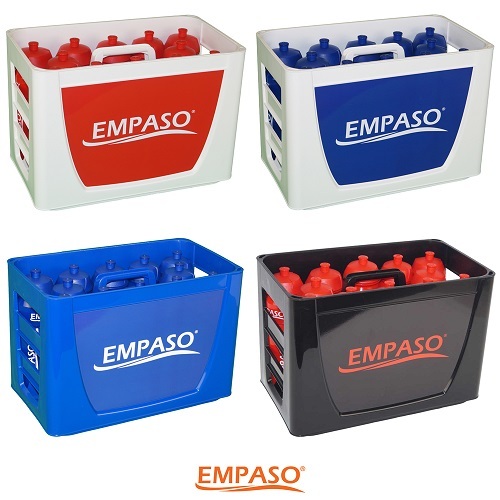 OSONYQ, the TeamCrate sponsor of Juventus! 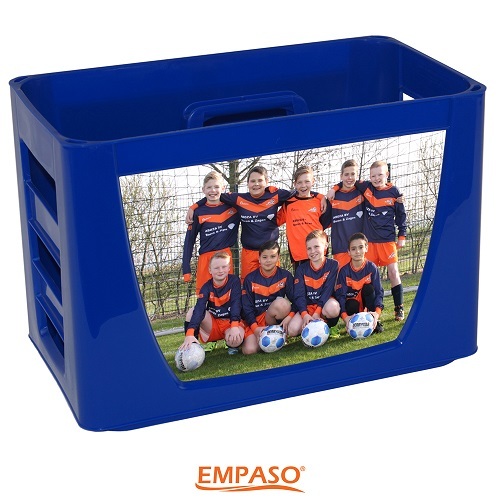 Personalized TeamCrate including 12 bottles: € 59,90 69,90 incl. VAT. TeamCrate Black & White including 12 bottles: € 47,90 54,90 incl. VAT. 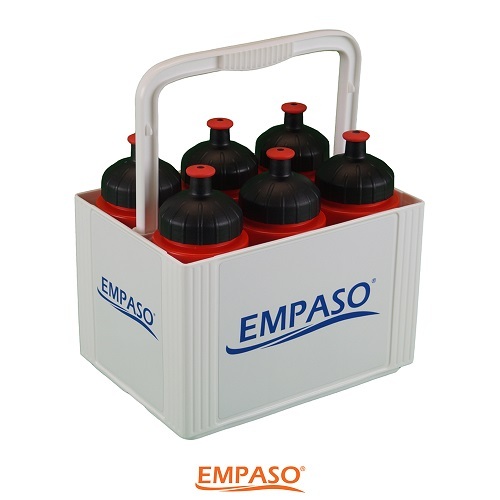 Standard EMPASO TeamCrate including 12 sport bottles: € 49,90 54,90 incl. VAT. Prices valid until April 30st 2019. 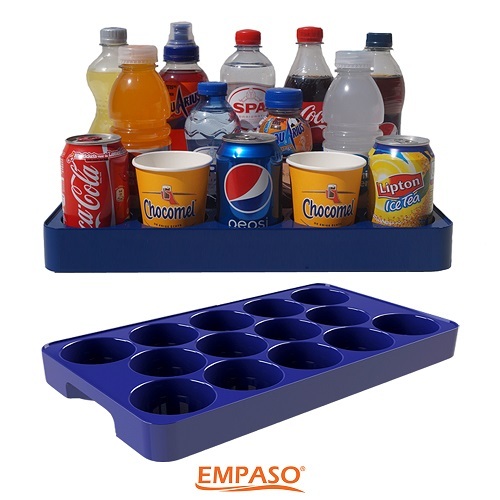 Read more about EMPASO TeamCrate, the order procedure, the extra TeamCrate options and the avialable crate and bottle colours on our page “About TeamCrate”. On our page ‘Price & delivery’ you’ll find a total price overview and can read more about the delivery time & costs. 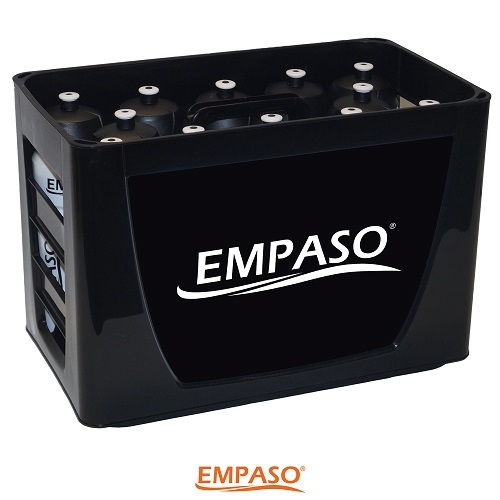 See the total overview of all our products on our page EMPASO Shop. As of 300 pieces we deliver sports bottles with a screen printed logo. The bottles are produced in The Netherlands, are high quality & BPA free bottles and the preferred choice of brands like Heineken, Gatorade and PepsiCo. Drinking healthy water should be fun and very easy. 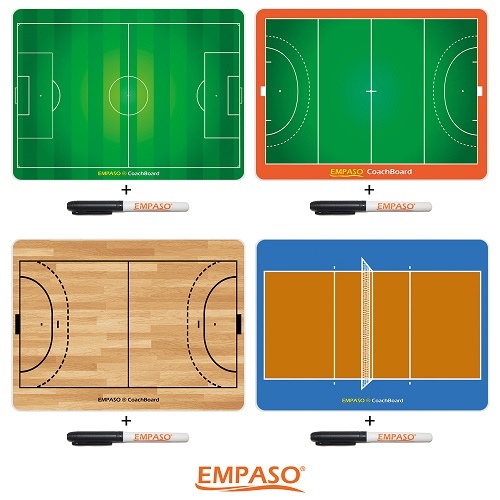 That is why we have develop the “TeamTap” which is a new water tap installation for TeamCrates enabling you to fill the 12 sports bottles simultaneously with only one push on the button. Want to know more about our TeamTap? Just contact us via e-mail. Do you want to know more about us or about our products? Just contact us directly via e-mail.